Looking for a 36-inch electric cooktop? Call off the search. The Electrolux EI36EC45KS (MSRP $1,399.00) 36-inch electric cooktop is a stellar example of cooking technology done right. Electrolux's potent mix of simple design, effortless controls, and some truly staggering performance have resulted in an appliance that truly justifies its price. Think we're exaggerating? Our concrete test data don't lie: When it comes to performance, the EI36EC45KS’s merits cannot be overstated. Nothing revolutionary and that's no bad thing. The EI36EC45KS's design aesthetic is a prime example of sticking to what works. It does little to deviate from the standard electric cooktop design, but we're okay with that. The burners are fairly well spread out, and each one has its own set of controls that makes cooking multiple dishes simultaneously a breeze. 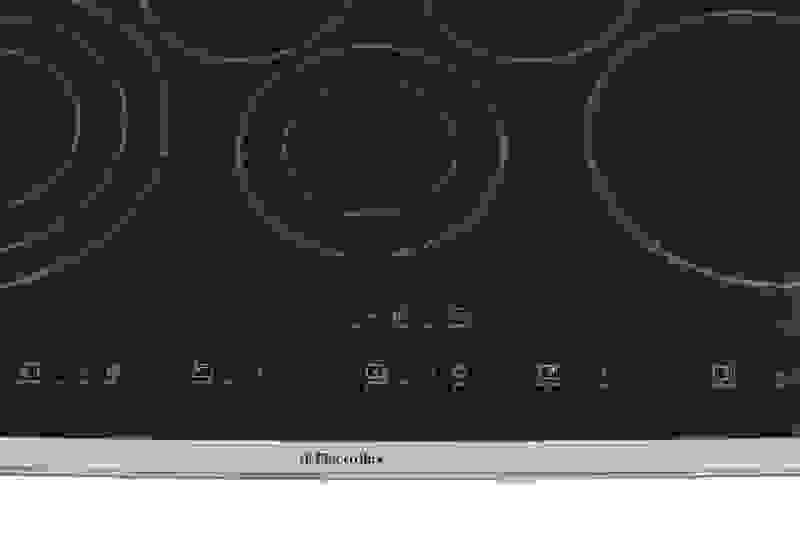 Additionally, the front-left burner features Electrolux's Flex-2-Fit triple element, which means you can adjust what part of the burner is on to fit your pan size. The Electrolux EI36EC45KS dispenses with standard physical burner dials in favor of touch controls. The Glide-2-Set control panel uses hapatic technology (the somewhat misleading name refers to the colored indicator display, not the actual input method). 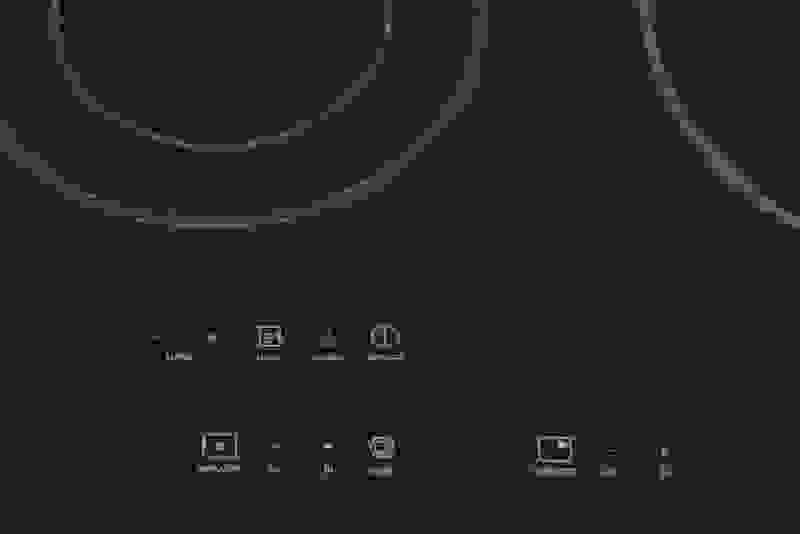 Overly dramatic naming conventions aside, we found the controls simple and easy to use. So much so, in fact, that even the most curmudgeonly of physical dial enthusiasts will find something to like, whether it be the rapid responsiveness of the touch controls or the cool HUD-like display. We judge cooktops on three criteria: the time it takes each burner to boil six cups of water, and both the maximum and minimum burner temperatures we can record. The EI36EC45KS blew away most of the electric competition in all three categories. In fact, the only model to trump it so far is the 30-inch version of the same cooktop—the EI30EC45KS—and even then only by a small margin. Boiling water proved no challenge to this cooktop. The Flex-2-Fit burner boiled six cups of water in only four minutes. What's more, we expect to see one fast burner, but this Electrolux features two: the front-right burner took a brief five minutes to tackle the same amount of water. The remaining burners took between 10 and 18 minutes, in case you're boiling multiple pots at once. As is often the case with electric cooktops, the EI36EC45KS offers a wide range of temperatures. We recorded an maximum average temperature of 774ºF across the five burners, while the Flex-2-Fit burner reached an even hotter high of 804ºF. In much the same way that you'll never experience a Lamborgini's top speeds if you only use it to drive to the grocery store and back, it’s worth noting that you are unlikely to require such intense levels of heat for anything, but it's impressive nevertheless. On the lower end of the spectrum, we recored a remarkably gentle 82ºF from the simmer burner, with an average low of 84ºF from the remaining four, useful for easily melting butter. If you're in the market for a high-performance electric cooktop and have 36 inches of counter real estate to spare, then the Electrolux EI36EC45KS is the clear choice. Along with some impressive boiling performance, it offers some of the best maximum and minimum temperatures we have ever seen. Electrolux has definitely tapped into a winning formula with the EI36EC45KS, something that's confirmed by the equally high-end caliber of it's slightly smaller counterpart, the EI30EC45KS. Each burner has it's own dedicated touch control panel. The mystifyingly named Glide-2-Touch control panel. The control panel display sure is pretty. The front-left and front-right elements offer exemplarily boil speeds. 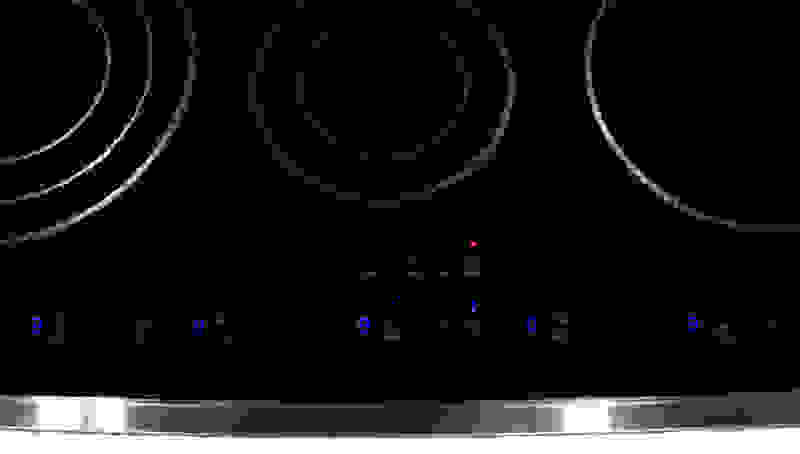 The Electrolux EI36EC45KS's burners have a wide range of temperatures.